Marfione Custom Knives are designed Anthony Marfione and built in his North Carolina custom shop. These very special custom knives are distributed through a very small network of select dealers who are seasoned professionals committed to the Marfione brand. 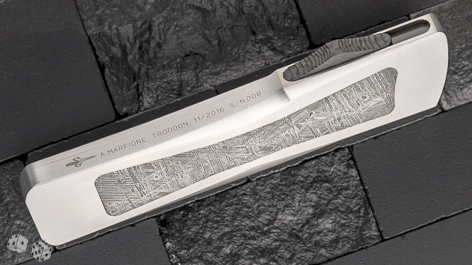 Marfione Custom Warhound Folder Muller Engraved "Oni"